Christmas is approaching, which means present-buying is about to begin in earnest. Thankfully, the Gadget Zone has been doing some pre-shopping on your behalf! Here are some cool tech gifts that have crossed our desk recently. There are headphones, and then there are A Audio’s Legacy headphones. Think of the Legacy as the BMW of headsets: The Phantom Black model is seriously high performance, luxurious and elegant. However, it is the Legacy’s performance that makes the difference: These ‘phones come with 3-Stage Listening Technology that lets the listener switch between Base Enhancer, Active Noise Cancellation and Audio modes. The Legacy uses 40 mm Mylar drivers with a frequency response of 20Hz to 20KHz, for clear, rich sound from the lowest of lows to highest of highs. As for the cool factor: A Audio Legacy headphones come with a premium leather band with diamond-quilted stitching and rotating ear cups with steel octagonal bezels. 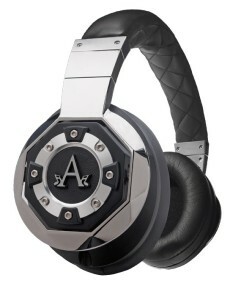 $299 at http://a-audio.com/shop/legacy-over-ear-anc-headphones . Do you know someone who can’t stop shooting ‘selfies’ of themselves? If so, they might appreciate being able to shoot selfies that aren’t stifled by the limits of their arm lengths, by using the Satechi Smart Selfie Extension Arm. Not only does this extension arm go from a 9.6″ folded length to a 37.2″ extended length – allowing for group shots – but it also comes with wireless controls built into its handle. What this means is that the buttons here can be connected by Bluetooth to the user’s iOS/Android smartphone; allowing them to trigger the phone’s ‘shutter’ from a distance. The Smart Selfie is small enough to fit into most purses and bags, and only weighs 5.6 ounces. 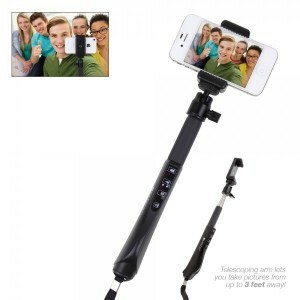 $49.99 at www.satechi.net/index.php/smart-selfie . If the person you are buying for is a motorist with a mildly paranoid bent like myself, then you likely cannot go wrong by getting them a Champ Survival Sidekick. 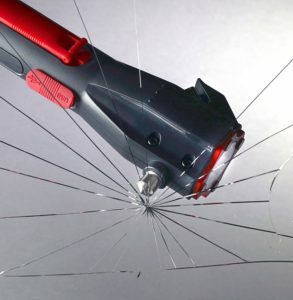 This is one of those hand-cranked emergency devices that has everything you might need when things go awry on the road. (Hand-cranking means that the device doesn’t need batteries; it has a hand-cranked generator built in.) Specifically, the Survival Sidekick has a three LED flashlight, a red distress light that can be used like a road flare, a magnetic base that let you stick the Sidekick on the side or top of the car, a built-in glass breaker for shattering windows and a seatbelt cutter for freeing occupants when the seatbelts jam. It also has a built in USB port for connecting/charging Android/iOS iPhone smartphones (charging cable not included); ensuring that the suer never has to deal with a dead cellphone while they are stranded. $24.99 at www.champprepared.com/products/?sku=RCEP100FL .